Sony held its E3 conference on Monday, June 15, unveiling crowd-favorite titles both new and old. 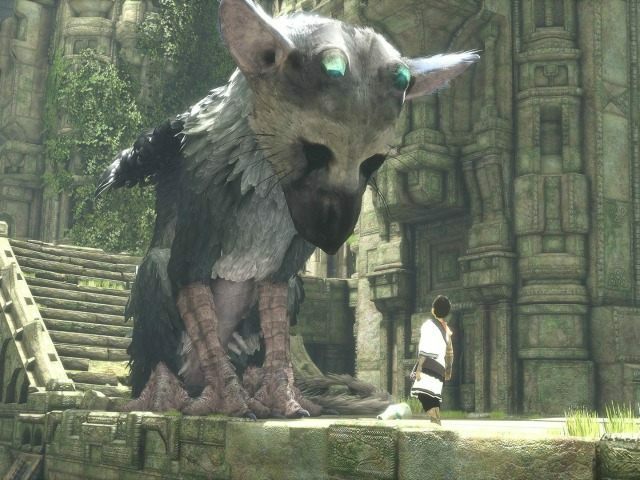 Action-adventure title The Last Guardian, originally announced for the Playstation 3 and long feared abandoned or canceled, finally received a 2016 release date for the Playstation 4. New footage from Street Fighter V confirmed Cammy and Birdie as playable characters, a remake of Final Fantasy VII was announced, developer DICE showcased the survival mode for Star Wars: Battlefront, and developer Naughty Dog featured new gameplay footage for Uncharted 4: A Thief’s End. Hello Games revealed gameplay from adventure title No Man’s Sky, LittleBigPlanet developer Media Molecule showcased Dreams, a dream simulator, and adventure game Firewatch was announced for the PlayStation 4. New Destiny expansion The Taken King was featured and Activision reported that PlayStation 4 gamers will receive exclusive maps and beta access for Call of Duty: Black Ops III, a significant coup for Sony after years of timed exclusivity for Call of Duty DLC going to Microsoft’s consoles. Sandbox game Disney Infinity 3.0 Edition also featured some Star Wars characters. Role-playing game Horizon: Zero Dawn showcased mechanical dinosaur adversaries, and Sony announced a Kickstarter campaing to fund long-defunct action-adventure game Shenmue 3. Sony’s cloud-streaming television utility, PlayStation Vue, is coming to Los Angeles and San Francisco, and will allow users to purchase channels one by one instead of buying giant packages. The service will be discounted for PlayStation Plus users.